Escape the urban bustle at Lake McKenzie and Eli Creek. Visit Seventy-Five Mile Beach and Indian Head for some beach relaxation. To see photos, other places to visit, maps, and more tourist information, use the Fraser Island journey builder . 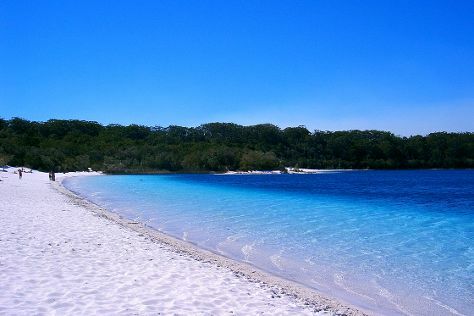 Albuquerque, USA to Fraser Island is an approximately 26-hour combination of flight, ferry, and car. The time zone difference moving from Mountain Standard Time to Australian Eastern Standard Time (Queensland) is 17 hours. Plan for much warmer temperatures traveling from Albuquerque in February, with highs in Fraser Island at 86°F and lows at 70°F. Wrap up your sightseeing on the 23rd (Sat) to allow time to travel to Lord Howe Island. Step out of the city life by going to Ned's Beach and Scuba & Snorkeling. 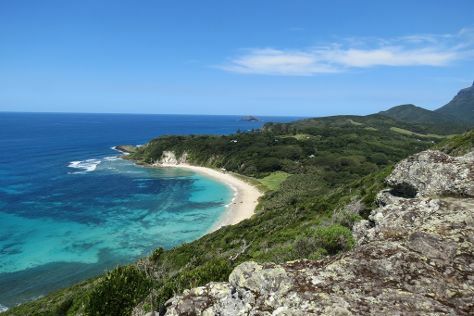 There's lots more to do: tour the pleasant surroundings at Lagoon Beach, take a tour by water with Boat Tours & Water Sports, take your sightseeing to a higher altitude at Mt Gower, and hike along Lord Howe Island Walking Trails. To see maps, where to stay, ratings, and more tourist information, use the Lord Howe Island trip builder website . Traveling by combination of car, ferry, and flight from Fraser Island to Lord Howe Island takes 12.5 hours. Finish up your sightseeing early on the 26th (Tue) so you can travel to Sydney. 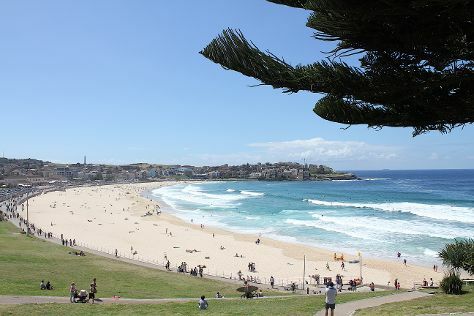 Get outdoors at Bondi Beach and Sydney Harbour National Park. Visit Manly Beach and Clovelly Beach for some beach relaxation. Take a break from Sydney with a short trip to Shelly Beach in Manly, about 36 minutes away. There's much more to do: see a show at Sydney Opera House, admire the natural beauty at Royal Botanic Garden Sydney, look for gifts at DUX Collection Sydney, and wander the streets of The Rocks. For maps, other places to visit, traveler tips, and more tourist information, read Sydney trip planner . Fly from Lord Howe Island to Sydney in 3.5 hours. February in Sydney sees daily highs of 80°F and lows of 68°F at night. Finish up your sightseeing early on the 2nd (Sat) so you can go by car to Katoomba. 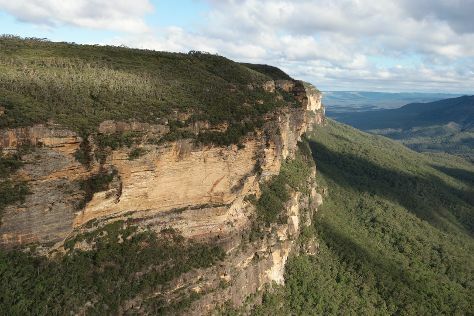 Start off your visit on the 3rd (Sun): hike along The National Pass, then take in the dramatic scenery at Wentworth Falls, and then scramble along the landscape with a canyoning and rapelling tour. Get ready for a full day of sightseeing on the 4th (Mon): take in the awesome beauty at Perry's Lookdown. For other places to visit, reviews, maps, and tourist information, read our Katoomba journey planner . You can drive from Sydney to Katoomba in 1.5 hours. Another option is to take a train. Expect little chillier evenings in Katoomba when traveling from Sydney in March, with lows around 61°F. Finish up your sightseeing early on the 4th (Mon) so you can travel to Hobart. On the 5th (Tue), step off the mainland to explore Macquarie Island, take your sightseeing to a higher altitude at Mount Wellington, then enjoy the sand and surf at Kingston Beach, and finally identify plant and animal life at Bonorong Wildlife Sanctuary. Find out how to plan Hobart trip without stress by asking Inspirock to help create an itinerary. You can do a combination of train and flight from Katoomba to Hobart in 6.5 hours. Other options are to do a combination of train, flight, and bus; or do a combination of car and ferry. Plan for slightly colder temperatures traveling from Katoomba in March, with highs in Hobart at 71°F and lows at 52°F. Finish your sightseeing early on the 5th (Tue) so you can travel to Melbourne. Visiting Melbourne Zoo and Balloon Rides will get you outdoors. 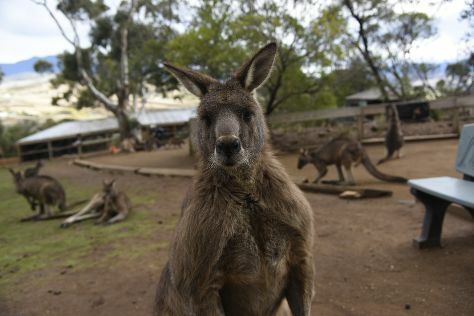 Venture out of the city with trips to The Great Ocean Road (in Torquay) and Werribee Open Range Zoo (in Werribee). Next up on the itinerary: take in nature's colorful creations at Royal Botanic Gardens, take in panoramic vistas at Eureka Skydeck 88, examine the collection at HMAS Castlemaine, and admire the striking features of Royal Exhibition Building. To find traveler tips, photos, reviews, and more tourist information, read Melbourne tour planning site . You can fly from Hobart to Melbourne in 4 hours. Other options are to do a combination of car and ferry; or do a combination of bus and ferry. Traveling from Hobart in March, expect nights in Melbourne to be about the same, around 56°F, while days are somewhat warmer, around 78°F. Finish your sightseeing early on the 9th (Sat) so you can travel to Uluru-Kata Tjuta National Park. Visiting Uluru and Kata Tjuta will get you outdoors. And it doesn't end there: admire the verdant scenery at Valley of the Winds, don't miss a visit to Field of Light, get engrossed in the history at Uluru-Kata Tjuta Cultural Centre, and contemplate the waterfront views at Mutitjulu Waterhole. For photos, reviews, where to stay, and tourist information, refer to the Uluru-Kata Tjuta National Park trip itinerary planning website . 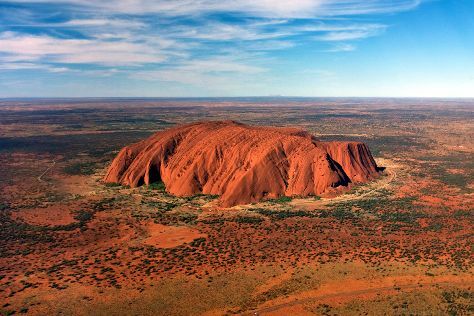 You can fly from Melbourne to Uluru-Kata Tjuta National Park in 5 hours. Another option is to drive. Traveling from Melbourne in March, expect Uluru-Kata Tjuta National Park to be somewhat warmer, temps between 95°F and 70°F. Finish up your sightseeing early on the 12th (Tue) so you can travel to Jabiru (Kakadu National Park). Jabiru is a town in the Northern Territory of Australia. Get in touch with nature at Motor Car Falls and Yellow Water. 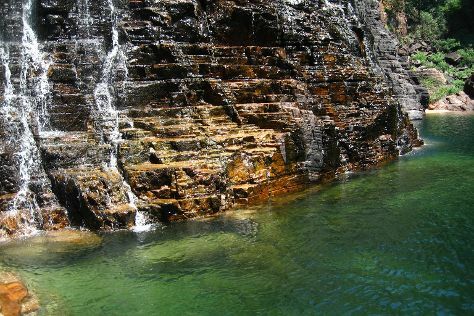 Spend the 16th (Sat) exploring nature at Jarrangbarnmi / Koolpin Gorge. The adventure continues: take in the dramatic scenery at Twin Falls, explore the striking landscape at Nanguluwur Art Site, look for all kinds of wild species at Mamukala Wetlands, and make a trip to Bardedjilidji Walk. To see photos, reviews, and more tourist information, read our Jabiru (Kakadu National Park) trip planner . Do a combination of flight and bus from Uluru-Kata Tjuta National Park to Jabiru (Kakadu National Park) in 9.5 hours. Alternatively, you can drive; or do a combination of flight and car. Finish up your sightseeing early on the 16th (Sat) so you can travel to Port Douglas. Get in touch with nature at Scuba & Snorkeling and Wildlife Habitat Port Douglas. Spend the 18th (Mon) spotting exotic species with a safari tour. The adventure continues: identify plant and animal life at Hartley's Crocodile Adventures, look for gifts at With Sugar, kick back and relax at Four Mile Beach, and get outside with Horses in Port. For traveler tips, photos, other places to visit, and other tourist information, go to the Port Douglas driving holiday planner. Getting from Jabiru (Kakadu National Park) to Port Douglas by combination of bus, flight, and shuttle takes about 12 hours. Other options: do a combination of car, flight, and shuttle; or drive. In March, daytime highs in Port Douglas are 87°F, while nighttime lows are 74°F. Finish your sightseeing early on the 20th (Wed) so you can travel to Cape Tribulation. Kick off your visit on the 21st (Thu): delve into the lush surroundings at Daintree Rainforest - Cooper Creek Wilderness and then admire the sheer force of Alexandra Bay Waterfall. Keep things going the next day: tour the pleasant surroundings at Myall Beach, enjoy the sand and surf at Thornton Beach, and then enjoy the sand and surf at Cape Tribulation Beach. For more things to do, ratings, other places to visit, and tourist information, refer to the Cape Tribulation trip planner . Traveling by combination of car and ferry from Port Douglas to Cape Tribulation takes 2 hours. Alternatively, you can take a bus. In March in Cape Tribulation, expect temperatures between 87°F during the day and 74°F at night. Wrap up your sightseeing on the 22nd (Fri) to allow time to take a bus to Cairns. Escape the urban bustle at Scuba & Snorkeling and Trinity Beach. 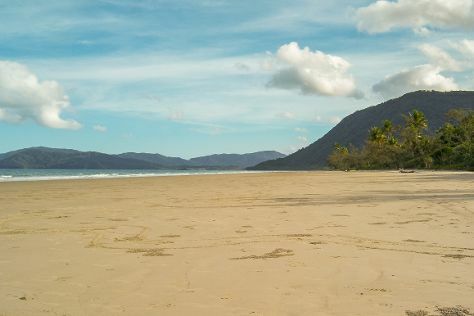 Go for a jaunt from Cairns to Palm Cove to see Palm Cove Beach about 32 minutes away. Spend the 24th (Sun) wandering through the wild on a nature and wildlife tour. There's much more to do: hike along Esplanade Boardwalk, take in the waterfront at The Jack Barnes Bicentennial Mangrove Boardwalk, and get a new perspective on things with Boat Tours & Water Sports. To find photos, reviews, and more tourist information, use the Cairns trip builder app . You can take a bus from Cape Tribulation to Cairns in 3.5 hours. Another option is to drive. March in Cairns sees daily highs of 87°F and lows of 74°F at night. Cap off your sightseeing on the 26th (Tue) early enough to travel back home.